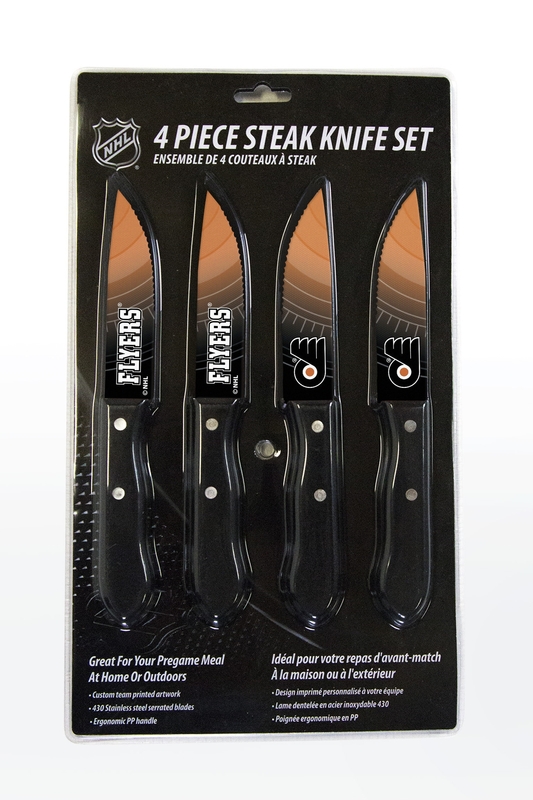 Declare your freedom to the home team with the Nhl officially-licensed Philadelphia Flyers Steak Knives Set of 4. Both sides of the blade display the classic Flyers logo, while the handles boast team colors to make this cutlery set a Philly original. The Philadelphia Flyers 4 Piece Steak Knife Set feature an ergonomic, polypropylene soft-grip handle with non-slip technology for maximum comfort and durability. All of the blades are serrated for ease of cutting without the need to sharpen. 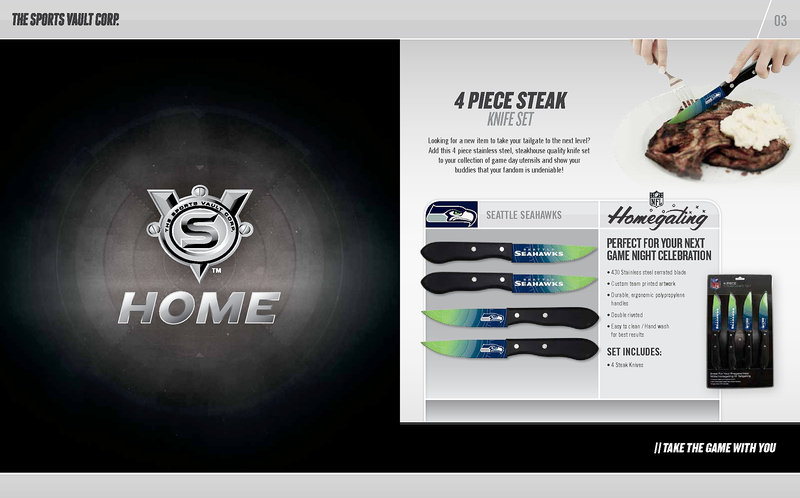 Each blade in the set is sure-coated to keep team logos and colors looking vibrant as long as you use them. Food safety is not a concern, as all the knives in the set have passed all applicable ratings. This set will be the difference maker in your next tailgate party or game night celebration. Great whether you order the set for personal use or as a gift for a Flyers fan, the Philadelphia Flyers 4 Piece Steak Knife Set will keep your winning streak alive! 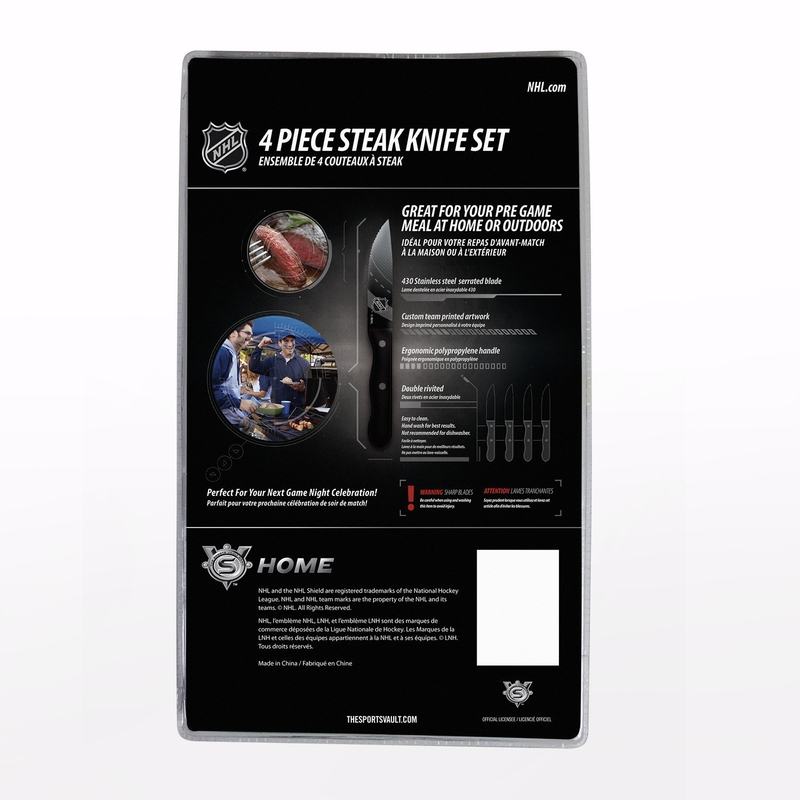 Order the Nhl-officially-licensed Philadelphia Flyers 4 Piece Steak Knife Set Today!